Samsung's Galaxy Nexus just dropped, and the company's flagship phone, the Galaxy S3, has been a rather large success so far, moving more than 10 million units since launch. That doesn't mean the South Korean manufacturer doesn't have any more tricks up its sleeve. Quite the opposite, actually. In fact, new leaked documents point to a new phone merely dubbed "Nexus" is currently in development at Samsung. Though the Nexus, codenamed the GT-I9260, doesn't have a proper name yet, the new device is clearly influenced by both the Galaxy Nexus and Galaxy S3. What do you get when you cross a Galaxy Nexus and an S3? Samsung's new Nexus device is a hybrid of both the Galaxy Nexus and the Galaxy S3. According to the specs, the Nexus will have an HD Super AMOLED screen like the Galaxy S3; however, it will only be 4.65 inches like the Galaxy Nexus. 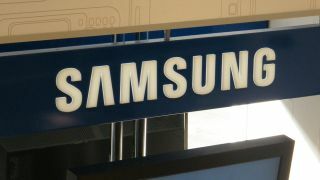 Additionally, the GT-I9260 shares the same 8 megapixel rear camera, and 1.9 megapixel front camera the Galaxy S3 utilizes. Unfortunately, the 1.5GHz dual-core A9 processor is only a slight upgrade over the Galaxy Nexus' (or GT-I9250) 1.2GHz dual-core A9 processor. While the Galaxy S3 may have its quad-core capabilities to itself, this new Nexus does supposedly include an SD card slot, as well as a 16GB internal memory. There are no images of the phone anywhere yet, so there is reason to be slightly skeptical of this new information. The leaked documents also relay the information about the HD Super AMOLED screen incorrectly, and call it a Super AMOLED HD screen instead. That wouldn't necessarily be a problem, but these are supposed to be leaked internal documents, and it's highly unlikely Samsung would get the name of its own branded screen wrong. Needless to say, we'll keep a close eye on whether or not there's any truth to the GT-I9260 being a real Nexus device.